In 1969, after their definition of the folk-rock sound and their brief dip into country & western, the Byrds were ready to begin a new stage of their career. By this time, the only remaining original member was Roger McGuinn, whose 12-string guitar sound has been remembered as the canonical "jangle" so important to the evolution of classic rock. Gram Parsons may have ushered in the epic country dalliance of Sweetheart of the Rodeo, but the dominant sound of Byrds by this time was something else: the jarring post-Nashville electricity of Clarence White. 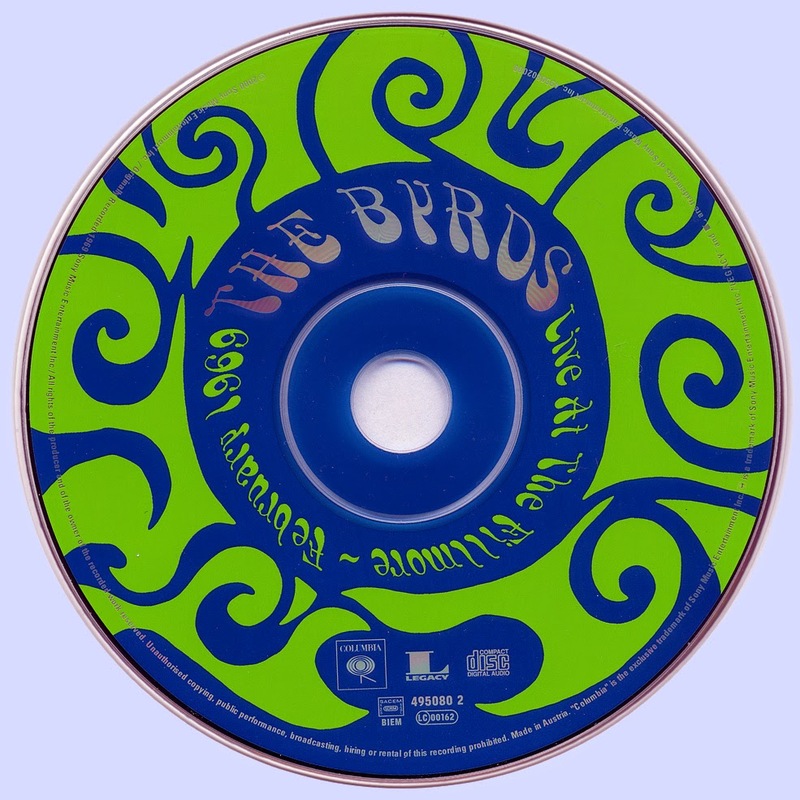 Live, the stripped-down two guitars, bass & drum format turned the Byrds away from the formula they perfected on their pre-Sweetheart records. Their recently recorded "Dr. Byrds & Mr. Hyde" LP showed the Byrds shift from the already cliched folk-rock sound towards a fuzzier, riskier Jefferson Airplane-like drum & distortion sonic zone. For material however, even as McGuinn was stretching his writing chops, their reliance on Dylan songs and the post-Harry Smith Anthology/Woody Guthrie folk canon to fill out their set list showed their inability to escape their beginnings. As documented in this fascinating live recording, the 1969 Byrds were heading into an area where the virtuosity of White and the pop/folk craftsmanship and experimentation of McGuinn could coexist. cd cover While McGuinn clung to the songs and approaches which made him famous, the band as a live entity had changed. White's guitar could kick the energy to another level at any moment. On this record, McGuinn's playing lurks in the background holding down the chords while White reels off baffling fills and solos. Though not part of the guitar pantheon of the sixties, White deserves a reassessment for his singular synthesis of country and psychedelic lead guitar stylings. His adaptation of pedal steel technique for the electric guitar was a true technical innovation and his solos snake through the acid honky-tonk terrain with an acuity Jerry Garcia never attained. Though they play a perfunctory medley of their big hits, the band sounds relieved to get "Turn! Turn! Turn!" out of the way so they can let White loose. The Byrds post-Sweetheart records are justly well-loved by rock connoisseurs for their framing of classic folk-rock material and McGuinn's own increasingly forward-looking songs in a surprisingly modern sonic space. Though frequently linked to Rickenbacker-slinging sixties worshippers like Tom Petty and REM, the band that comes to mind in relation to the late Byrds is actually Pavement, who also walk the particularly Californian line between pop song-craft and hazy sonic sprawl. 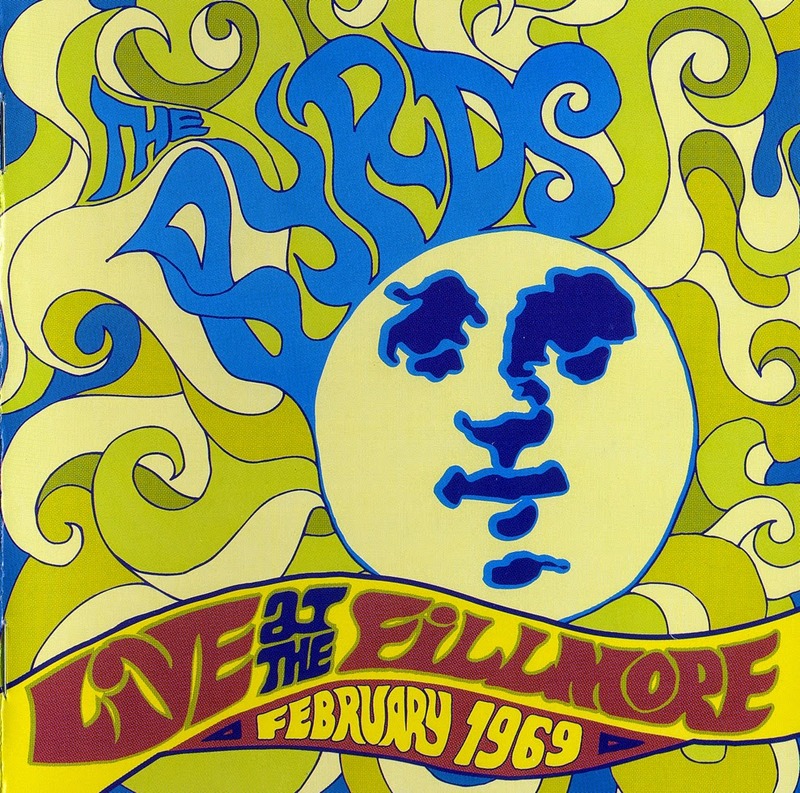 Live at the Fillmore is a link in understanding the Byrds' various transformations, and maybe even more importantly, a rare showcase for the artistry of Clarence White.